While the members of this pottery family have their own aesthetic personalities, they share a material language and keep a similar pace in the workshop, making large runs of the same form quickly and efficiently. While the members of this pottery family have their own aesthetic personalities, they share a material language and keep a similar pace in the workshop, making large runs of the same form quickly and efficiently. When I met Alex in the fall of 2009, he had just bought the property in Madison County. There was no kiln, no workshop, and though East Fork was still nameless, Alex mostly envisioned that he would continue making pots in exactly this tradition. But when it came time to name the workshop, he decided against the obvious choice of “Matisse Pottery.” Though he still wasn’t sure how it might look, Alex suspected that he wouldn’t always be making pots alone. Six years later, Alex is joined by John Vigeland and two apprentices, with plans to grow. Together they are developing a line of simple, functional tableware made by all members of the workshop and stamped simply “East Fork.” And beginning this fall, that line of work will be fired in a gas kiln. The Blaauw arrived at East Fork after a long journey from The Netherlands, where they are manufactured. Guido Strijbos and Jeff Chown, Blaauw Kilns, came to East Fork to install and calibrate the machine and show us how to fire it. 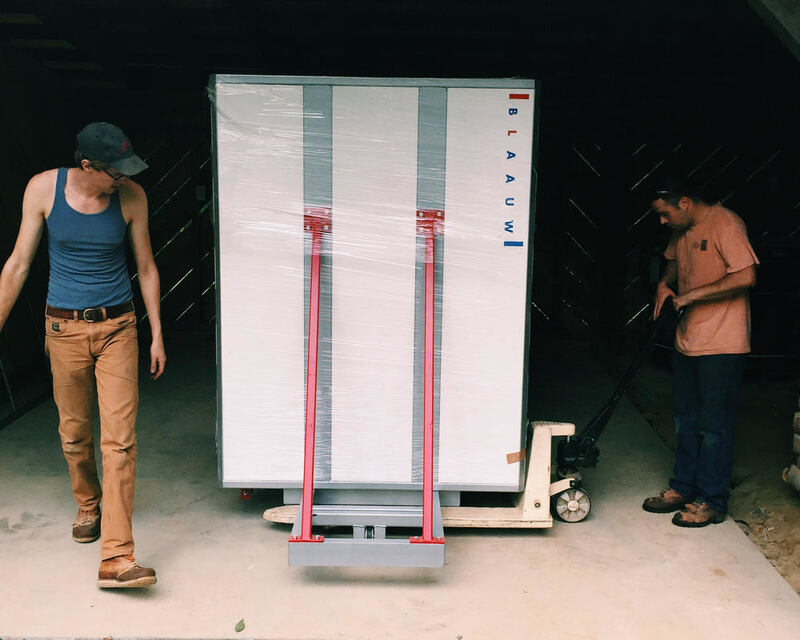 Today, we'll unload our first test firing. As Alex likes to say, the wood kiln is like a Conestoga wagon; the Blaauw, a Tesla. We fire the wood kiln at East Fork four times a year. Before it’s fired 1,500 objects are made. Wood must be cut and stacked. In three or four workdays with two to four people, the pots are loaded. A brick door is constructed and clammed over with clay. For three nights and three days, we tend to the fire, building heat by increments of first 100 and then 50 degrees an hour until, three days later, two people are stoking through the side ports, one person is stoking in the front, and the fire is blazing at 2,300degrees. It is a hot, exhausting process. Slowly, the kiln cools. Four days later, pots are unloaded. Each one must be cleaned of detritus, sanded, Dremelled, or treated with an angle grinder. Then, wadding must be scraped off the kiln shelves and floor. The process takes over a month. With the Blauuw, one person will load pots in the morning. They’ll shut the door, push a few buttons, and, the next morning, they’ll open the door an unload the finished product. Whereas firing with wood is unpredictable, the gas kiln will enable us to make work with dependable results. East Fork is inextricable from its lineage. 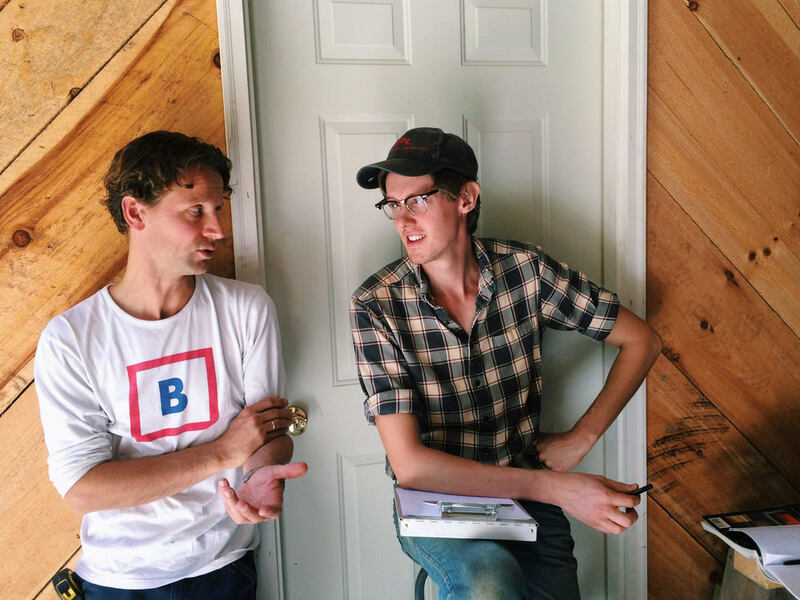 Alex and John's aesthetic values will always be informed by lessons learned by their first teachers and we will continue to fire the wood kiln. But I bet you can sense our excitement from a mile away. 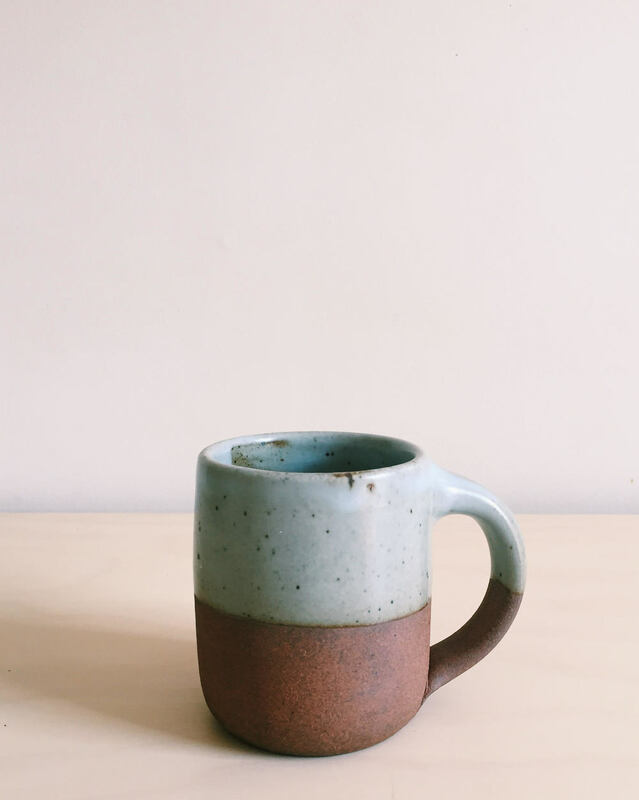 A mug by East Fork fired with gas.